The Ford F-150 is North America’s best-selling truck, and has been for some time. More than tough enough for the job site, and capable of handling whatever you throw its way, the 2018 Ford F-150 —available at Team Ford— is a shining example of both Ford’s heritage, as well as it’s forward-thinking, technologically savvy performance. Continue reading to learn more about what sets this truck apart from any vehicle in its class. Best-in-class torque, payload, towing, and features, all in one truck. That’s because Ford F-150 utilizes Ford’s most advanced, hard-working powertrain lineup in the history of the brand (an illustrious history, might we add). Seven trim levels to choose from, with countless customization options to make your F-150 the perfect truck for your individual needs. If that wasn’t enough, the 2018 F-150 comes loaded with innovative safety features that keep you and your cargo safe at all times. There isn’t much this truck can’t, or won’t, do. An advanced, 10-speed automatic transmission improves fuel economy and performance all throughout the low and mid-range of your F-150 engine’s power band, no matter which engine you choose. Make no mistake, you have a wealth of choices for 2018 including some of Ford’s most advanced engines yet. Between the 2.7L and 3.5L EcoBoost® engines, the brand new 3.3L Ti-VCT V6, one of Ford’s legendary V8s, or the all-new 3.0L Power Stroke® Turbo Diesel V6 engine, there is bound to be an engine that fits your needs. Ford innovation powers all these engines, but you’ll only need one of these engines to power through your day. A standard 3.3L Ti-VCT V6 with Auto Start/Stop engine technology powers the entry-level version of the 2018 F-150. Four-wheel disc ABS brakes hide behind 17” silver-painted aluminum wheels, giving you stopping power, to match the V6 engine. Ford’s voice-activated SYNC® 3 entertainment system and BoxLink™ cargo system create exceptional convenience. A 5.0L V8 engine with 395 hp and 400 lb.-ft of torque provide this F-150 with best-in-class payload. The F-150 Platinum’s tailgate step with tailgate lift-assist is a feature found exclusively on Ford trucks. Oh yeah, it looks great too! Enjoy the great outdoors with the SuperCrew® Limited’s twin-panel moonroof. Enjoy your music with a B&O™ premium audio system. The off-road doesn’t stand a chance with the 6 drive modes found with the Raptor’s Terrain Management System™. The 2018 Ford F-150 is tough on the roads, easy on the eyes, and available at Edmonton’s favourite Ford dealer, Team Ford. Whether you’re helping a friend move, or utilizing the F-150’s 13,200 lb. towing capacity, the 2018 Ford F-150 has more than enough power to get the job done—no matter what that job is.  To learn more, contact us at Team Ford. *MSRP is set by manufacturer, and price can vary depending on trim level, features, and other factors.